Get a quick & easy, no obligation quote Free. If you are not sure what is the amount of cover required then simply choose an approximate amount. One of the expert life insurance representatives will call you back to discuss your quote. You can then revise the cover amount (if required) and discuss further options. Copyright 2010-2019 © thebestlifeinsurance.co.uk. All rights reserved. TheBestLifeInsurance.co.uk and the logo are registered trademarks of Pioneer Web Ltd. Data protection registration no: ZA036634. Registered address: 24 Brewsters Road, Nottingham, NG3 3BP. We act as an introducer only and receive a commission for introducing customers to authorised and regulated brokers and insurers. No advice is given or implied on this website. Our service is completely free and you are under no obligation to accept any quotes you receive. * £5 premium is based on £70,000 of level term cover for a non-smoking individual aged 30 next birthday and in good health. The actual premium will depend upon individual circumstances. * The content of the site is for information purposes only and does not constitute financial advice. Please seek independent advice before considering any type of insurance services product. TheBestLifeInsurance.co.uk is a trading style of Pioneer Web Ltd which is registered in England and Wales, Registration No. 07716468. Registered address: 24 Brewsters Road, Nottingham, NG3 3BP. TheBestLifeInsurance.co.uk is a UK based online life insurance quote comparison service that specializes in helping you find the best life insurance cover by comparing the best policies from top UK providers. There are many price comparison websites out there, so why choose TheBestLifeInsurance.co.uk? Our service is 100% free to use and you are under no obligation. We are cheaper than buying direct from the insurers. You can compare over 400+ life insurance policies in a single form fill. TheBestLifeInsurance.co.uk is an independent & impartial website. We are UK’s top life insurance comparison site. Our competitive quotes can’t be beaten. You save time, money and effort. How does TheBestLifeInsurance.co.uk make money? TheBestLifeInsurance.co.uk is totally free for you to use. In order to keep this service free we charge the adviser who we send your enquiry to. This charge may be fixed or variable but will only relate to the introduction of you to the financial adviser. We will not receive nor charge any other amount to you or the financial adviser your details are passed to other than that described above. Data is collected, processed and maintained in accordance with the Data Protection Act 1998. Registration Number: ZA036634. Our website includes an enquiry form that you can use to request information about or quotations in respect of Life Insurance, Income Protection and ASU. This website is owned and operated by Pioneer Web Limited. This privacy notice aims to give you information on how Pioneer Web Ltd collects and processes your personal data through your use of this website, including any data you may provide when you submit our online contact form. Pioneer Web Ltd trading as TheBestLifeInsurance.co.uk is registered in England and Wales with company number 07716468 is the data controller and responsible for your personal data (collectively referred to as “Pioneer Web Ltd”, “https://www.pioneer-web.co.uk, “we”, “us” or “our” in this privacy notice). We are a registered data controller with the Information Commissioner’s Office, registration number ZA036634. Postal address: 24, Brewsters Road, Nottingham, Nottinghamshire, NG3 3BP. If you wish to exercise any of the rights set out above, please contact customercare@thebestlifeinsurance.co.uk for further details. To exercise all relevant rights, queries or complaints, please contact us at customercare@thebestlifeinsurance.co.uk to discuss your concerns. Life insurance or Life assurance is a contract between You, the policy owner and the insurer, where the insurer promises to pay a designated beneficiary a sum of money (the benefits) upon the death of the insured person. Depending on the contract, other events such as terminal illness or critical illness may also trigger payment. In return, the policy holder agrees to pay a stipulated amount (the premium) at regular intervals or in lump sums. Mortgage Life Assurance is used to protect your mortgage against the risk of you dying and leaving it behind for your family to continue paying. Mortgage Life Assurance is only suitable for mortgages which are Capital and Repayment because the level of cover is designed to reduce as your mortgage reduces over the years. The reduction ensures that there is always enough in the 'pot' to pay off the mortgage if the worst happens but there will be very little surplus remaining. Term Life Assurance is the opposite of Mortgage Life Assurance in that the amount of cover remains the same throughout the term of the policy and does not reduce. This type of Life Assurance is suitable for those people with Interest Only mortgages, those wishing to cover funeral expenses and people wanting to leave a sum of money behind to ensure their families standard of living. Decreasing Life Assurance is a term used to mean the same as Mortgage Life Assurance. The 'decreasing' refers to the reduction in cover over the years. This is a variant of the level term life insurance. It provides a level amount of insurance but the premium increases each year at the policy renewal date. A whole life insurance policy is a policy that generally pays guaranteed sum in the event of the death of the insured to the dependents of the insured. 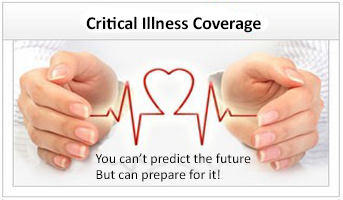 In some cases, the earlier diagnosis of a critical illness also results in the said payment. . This insurance can be without-profits, with profits or unit-linked. Whole life insurance policies are sometimes called straight life insurance policies or permanent life policies. Family Income Benefit pays out a regular annual income in the event of death or diagnosis of a specified critical illness, during a specified period for your dependants. Actual payments can be half yearly, quarterly or monthly. This kind of life insurance pays out the sum insured only on diagnosis of the insured person having contracted one of a range of specified critical illnesses. These illnesses usually include heart disease, stroke, and cancer. This is not offered as a standard part of a life insurance policy. Our broker partners can provide can provide critical illness cover in addition to a standard life insurance policy. Guaranteed premiums usually are fixed by the insurer and remain the same throughout the policy term. If you have chosen the indexation option, in which case the premiums will also rise linked to inflation. Reviewable premiums are usually increased by the insurer at regular intervals, usually every five years. The benefit of selecting a 'reviewable' plan is that usually the premium starts off at a much lower level than a guaranteed plan, particularly when critical illness has been selected as an option. - Ms. K. Foley, Dunbartonshire. - Mr. Peter Bernard, Southampton. - Mr. David Wright and Kevin Ingram, Leeds. - Mrs. Bill Stouch, London.